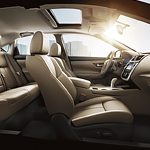 From inside to the outside, this year's Nissan Altima is designed with exceptional accessories throughout. Standard inclusions features are 17-inch aluminum alloy wheels, a rear spoiler and external ground lighting. Some of the more intricate features include a frameless, auto-dimming rearview mirror, illuminated kick plats and carpeted floor mats that are really easy to clean. You deserve to drive the best full-size pickup truck out there. And you deserve to have that truck outfitted with all kinds of accessories. 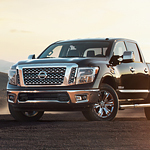 You should look into the popular Nissan Titan XD and the accessories available for it. There are various floor mats available for the Nissan Titan XD so that you can look out for the floors of this truck. There is an all-season floor mat option available that is perfect for use in snowy weather. This waterproof mat helps to keep your vehicle's floors in great shape. Are you looking for a reliable, reasonably priced car? If so, the Certified Pre-Owned Nissan is the way to go. Every Certified Pre-Owned Nissan has been checked and has passed the high standards Nissan sets. 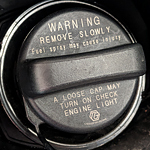 Nissan Certified Pre-owned car requirements include a maximum age of six years and no more than 80,000 miles on the odometer. The Nissan GT-R is one of the most popular sports cars on the road today. This is one of the most aesthetically pleasant and luxurious cars in Nissan's lineup. But it also lives up to its muscular look. 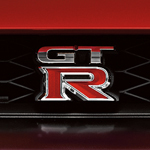 The GT-R has a 3.8L turbocharged engine that delivers an amazing 565 hp. It also cranks out an amazing 467 lb-ft of torque. Each of these engines is hand-assembled to ensure the best performance. 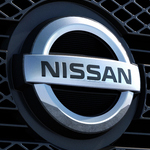 Nissan vehicles remain popular for their reliability, style and features. The subcompact crossover Kicks SUV is a favorite among people who enjoy the features of an SUV but prefer not having a large vehicle. We have a selection of the new 2019 models in our Lufkin showroom. One thing that can work when it comes to saving money on fuel is planning out your trips and combining them. Sometimes, the amount of trips you take are going to cause you to burn a lot of fuel. This can be very frustrating. Fortunately, this can be taken care of. When purchasing any new sports car, it is important to know that it can provide you with the power, performance, and handling that you need. That is exactly we so often recommend the Nissan 370Z Roadster to our friends and neighbors in Lufkin. This exciting vehicle is packed full of all the performance features you might expect in a modern sports car. If you want a vehicle that works to make you more comfortable, entertained, and safe on the road, take a look at the Nissan Kicks. This all-new subcompact SUV is filled with high-tech features at Loving Nissan. One of the most impressive pieces of technology you can get is the infotainment center. The Nissan Intelligent Mobility system makes it safer to control your media or take phone calls. It includes a responsive touch screen display. Built-in applications can provide you with real-time traffic information, navigation, and a wide selection of entertainment options. 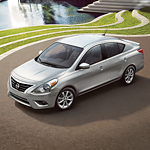 Discover what many discerning drivers already have about the power and capability of the Nissan Sentra. This popular sedan has everything you are looking for in a mid-size vehicle. 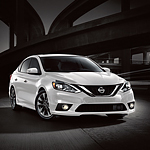 The friendly associates at Loving Nissan are anxious to demonstrate to you all of the unique features of the Nissan Sentra and show you why there is no better buy on the market today.